WiseAlpha investments can now be held as part of your pension portfolio and enjoy tax benefits through a Self-Invested Personal Pension (SIPP). Before you can start investing with WiseAlpha you need to open a SIPP with one of the approved SIPP trustees below that Wisealpha has an agreement with. Please note that WiseAlpha makes no recommendations or statements on behalf of any of the providers; nor do we provide any guidance or advice to investors on how to choose their provider. Capital at risk, instant access not guaranteed. No FSCS protection. Saving for retirement requires careful consideration. In many cases investors will benefit from the support of a financial adviser to help select an appropriate investment portfolio taking into account factors such as their return objectives and risk appetite. A financial adviser can also help to decide which SIPP operators may or may not be most suitable. Pension Wise is the government’s free, impartial pension guidance service, created to help you understand your retirement options. Visit www.pensionwise.gov.uk or call 0800 138 3944 to find out more. A HM Revenue and Customs approved personal pension scheme designed for investors who want flexibility and control over their investment strategy, including the asset classes in which their pension fund is invested. 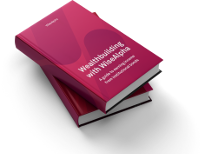 Why Invest with WiseAlpha using a SIPP? Investments in SIPPs grow free from Income Tax and Capital Gains Tax. You also get tax relief on your pension contributions. Any money you invest in your SIPP will be topped up by 20% by the taxman, and higher or additional-rate taxpayers can claim back a further 20% or 25% respectively. Tax relief is limited by your annual earnings and the pension annual allowance. Children and people who don’t pay tax can also make pension contributions of up to £2,880 a year. With basic-rate tax relief this will make a total contribution of £3,600 a year into the SIPP or other pension. Normally you can pay as much into your pension as you earn each year, up to a maximum of £40,000. This is known as your annual allowance. Transferring pensions between providers doesn't use up your annual allowance. The usual £40,000 annual allowance is cut for people with annual income of more than £150,000. The allowance reduces by £1 for every £2 of income above £150,000, down to a minimum of £10,000 for those with income of more than £210,000. Non-taxpayers and children can also make pension contributions of up to £2,880 a year (making £3,600 with basic-rate tax relief). The lifetime allowance is a limit to the amount you can save in your SIPP or other pension over your lifetime. The allowance is currently £1.03 million – you will pay tax on any pension savings you make in excess of this. The excess is taxed at 25% (plus Income Tax) as income or 55% as a lump sum. Pension carry forward rules let you make contributions above your annual allowance. If you paid in less than your annual allowance in any of the past three tax years you can carry forward the unused allowance, as long as you had a SIPP or other pension in place for each of the three years and your total contributions don’t exceed your current earnings. I already have a SIPP trustee already but they aren’t on your approved list. It may still be possible to open a WiseAlpha SIPP investment with that SIPP provider however we will need to contact your SIPP provider to approve them and vice versa. Please email investing@wisealpha.com and we will be happy to talk with them. Yes, you can have more than one SIPP. This means you can also open a SIPP with one of our approved SIPP trustees. You can also switch from your current SIPP to one of our approved SIPP trustees.